Let us show you how easily you can bring the timeless appearance of custom hardwood flooring to your Asheville, NC home. 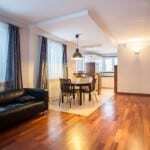 Custom Hardwood Flooring in Asheville – One of the most popular flooring materials in the Asheville, NC area today is custom hardwood flooring. The popularity for hardwood flooring has changed over the past few years, mainly because the manufacturing of custom hardwood flooring has improved so much. At Wright’s Carpet, we offer a huge selection of products, so you can get the style and durability you need for your home. One of the most exciting things to happen to the custom hardwood flooring industry is the availability of exotic hardwoods from around the globe. Although you can still choose from North American hardwoods, such as maple, red oak, white oak and ash, you now have many other options, as well. 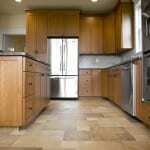 This allows you more opportunities to get a truly unique custom hardwood flooring result. Our custom services allow you to either choose prefinished wood flooring or unfinished wood that can be finished as you desire for a completely unique result. Let us show you how easily you can bring the timeless appearance of custom hardwood flooring to your home. With so many options, we are confident we can match your style and your budget. We can also help you out with future services designed to preserve your custom hardwood flooring, so it continues to look as beautiful as the day we first installed it for you. Give us a call today to schedule an in-home consultation or come see us up on the hill! When it comes to floors, you’ve got Wright’s! With easy financing options, you could have the flooring of your dreams in no time! At Wright’s Carpet we offer quality custom hardwood flooring for customers in Asheville, Swannanoa, Hendersonville and the surrounding areas of North Carolina!